Various types of bodywork provides for many health benefits. Aside from the obvious physical and mental benefits that working on your body brings you, you can also find emotional health that will affect all aspects of your body-mind-soul for healing. One additional benefit that I have found through working with my body is it really opens me up for creativity. When I really have the need to get something down on paper, to share all that is in my heart, sometimes I still find a block. I guess you can call it writer’s block, but I prefer to think of it as a block in my creative energy. So, again, I turn to my body for help. When the flow of creative energy stops, I often will go do yoga, foam rolling, and other meditative movements to open me up. It is amazing how the metaphor of opening your body through stretches, opens your heart and your creativity. It’s as if the opening movements of my body, creates an actual opening in my mental process, to have the creativity flow once again. The subtle body, is awakened through the clearing of the energy blockages that movement provides. We move energy when we move our bodies. This should really be no surprise, because Divine Intelligence exists in our cells so that each individual cell knows exactly what to do. The cells, collectively keep our bodies running smoothly. We do not have to think about it, or tell our heart to beat, or our kidneys to function. When I close down my mind and allow this cellular intelligence to flow from my body, I tap into the creative source of the subtle energy body. Working on your body re-balances you, makes you feel whole and complete. It is the body-mind-soul interface. By caring for your body and performing bodywork exercises, great emotional health can be achieved. If you focus on your body movements as meditation it becomes a time to go inward. During meditative movements I find that amazing things just pop into my head. New insights that I did not know were there. New angles of understanding that feel new, fresh and true. New insights into my True Self emerges. 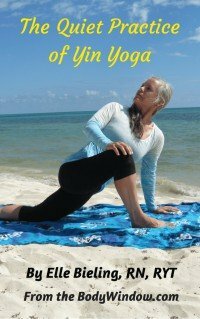 If union with God is achieved through yoga (as the word 'yoga' means), then creating, for me is a connection with God at an inner cellular level. My physical body is the conduit for creation, just as my physical body was created! I know that at the core of our beings, we all have this universal creativity that comes from the Creator, the Universal Source itself. We just need to learn how to tap into it, how to make it flow. Bodywork, in my experience can help us achieve this creativity. It is only through silence, meditative movements and a real effort to connect with our Source/God that we can find our creative energy that is waiting there for us. Waiting for us to tap into. For me, it mostly comes through bodywork, the ‘intuitive movement’ that re-connects my body and my mind with my soul in this fashion. Are the concepts I speak of new?? Absolutely not. Are they universal? Absolutely. Are they different? No, they are constant, a knowledge that we can all apply to ourselves, to bring for the creativity that we were meant to find. It is in our cells and in our souls. It is there for the asking. Just like Grace. If your body is a window to your soul, then it follows that your creativity comes from your soul. Therefore, intuitive body movements connects you to your soul anew, and is manifested in your creativity! May your bodywork practices bring you Creativity, Peace, and total Health and Healing of your body-mind-soul!